The AAYFF is back! We are already tremendously excited and busy planning the second edition of the Across Asia Youth Film Festival which returns in the new year. The festival will once more be hosted by Tanglin Trust School from the heart of the media district in Singapore. We are also delighted to announce the continuing support of our partners HBO Asia, Disney and Mediacorp all of whom helped make the AAYFF shine in its inaugural year. 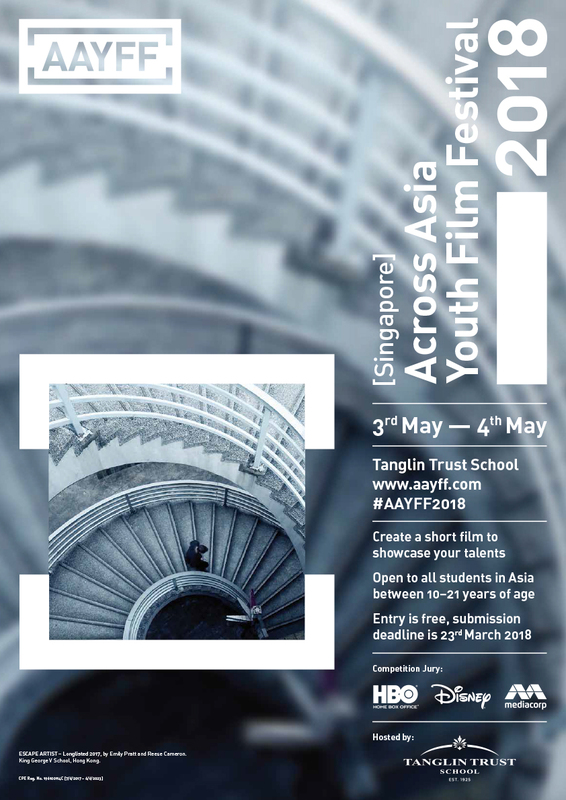 The AAYFF connects talented young filmmakers with the film and media industry and aims to provide more opportunities for young filmmakers to learn from industry professionals and develop their craft. We are therefore thrilled to be including an additional industry experience day of workshops and exclusive experiences organised by our partners which all shortlisted filmmakers will be invited to attend. Please help to share news of the #AAYFF2018 with your friends, students and colleagues by following on social media using the links listed below. If you have any questions feel free to get in touch. Have a wonderful Christmas break and see you in the new year!